While final bosses of Mario games are usually memorable, they can sometimes be a bit by-the-numbers in their execution due to a devotion to the traditions of the series. Not so in 2011’s excellent Super Mario 3D Land on 3DS and not so in the equally excellent Super Mario 3D World on Wii U. One of the Mario series’ greatest long-standing questions, “What would happen if Bowser actually used the power-ups that Mario and co. use?” is finally answered with some scary effects. 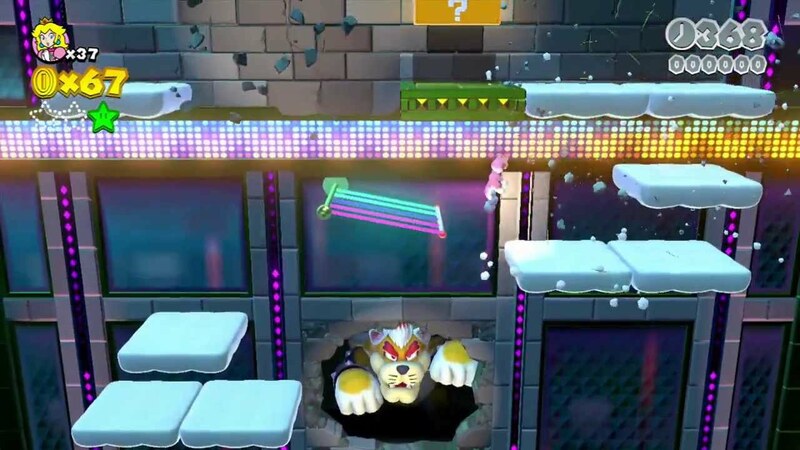 After a more straightforward boss battle a world earlier, Bowser brings the big guns when he uses the new cat suit power-up on himself, transforming himself into a ghastly feline hybrid that climbs walls in pursuit of you and your pals. He then ingests the double cherry power-up to multiply himself, amping up the tension and the atmosphere as an absolutely amazing tune swells in the background. Good stuff. While Telltale Games’ The Walking Dead won many Game of the Year awards last year, it only came out on the Playstation Vita, which is where I finally played it, in the middle of 2013. That means I can use it in this list. Having said that, while each episode is remarkable for the way it builds off your previous decisions in earlier episodes and helps to foster a palpable emotional connection between protagonist Lee and orphaned pre-teen girl Clementine, as a standalone package there is arguably no better episode than Episode Two: Starved For Help. A high-tension character drama turns into something more sinister as your group meets a family who seem surprisingly well-fed for post-zombie apocalypse survivors. The tension ratchets up as you explore their farm until a horrifying development blows everything right up. Excellent storytelling. Zelda games always have epic endings and A Link Between Worlds is no different, but it comes with the bonus of a pair of neat plot twists that took me by surprise mostly because the game places so little emphasis on story and so much on gameplay. Soon after reaching the end of a nifty final dungeon, the obviously desperate (yet chillingly calm) Princess Hilda of Lorule reveals that she has been working alongside chief antagonist Yuga (who has fused himself with the ever-present Ganon) the whole time you’ve known her. Then Ravio, the oddball man in a bunny suit responsible for taking most of your hard-earned rupees throughout the game in exchange for items, reveals himself as the cowardly Lorule equivalent of Link, a hero who was supposed to save his world but couldn’t. 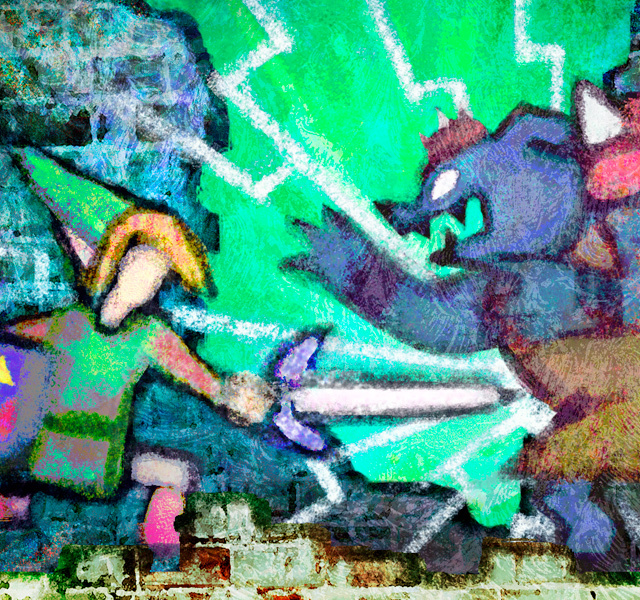 The delivery of the twists plays out well on your 3D screen, as does the amazing final battle against the treacherous Yuga/Ganon, which combines a famous Zelda item and the chief new painting mechanic in LBW to great effect. The Last of Us, as a story-driven game made by Naughty Dog, has a number of highlights strewn throughout its ten to fifteen hours of narrative. Some of these are white-knuckle thrills, some are serene moments of beauty, and some are lifted straight from your worst clicking nightmares. My favourite moment of the bunch, however, comes straight after the game’s Autumn season (the second of four) comes to an abrupt close with co-protagonist Joel gravely injured in a harrowing final segment. The game’s “Winter” title card pops up on screen and then disappears to reveal a bleak scene with a lone and desperate Ellie. Bow in hand, she begins to stalk a potential meal and then the camera sets itself behind her to reveal that yes, you will in fact be playing as the 14 year-old for the next little while. It’s a great moment that cleverly reflects Ellie’s growth as both a character and a survivor, and it is followed by plenty of similarly memorable moments in the snowy season alone. For all its inadequacies as a complete product, Intelligent Systems’ Wii U exclusive Game & Wario has some truly magnificent content. 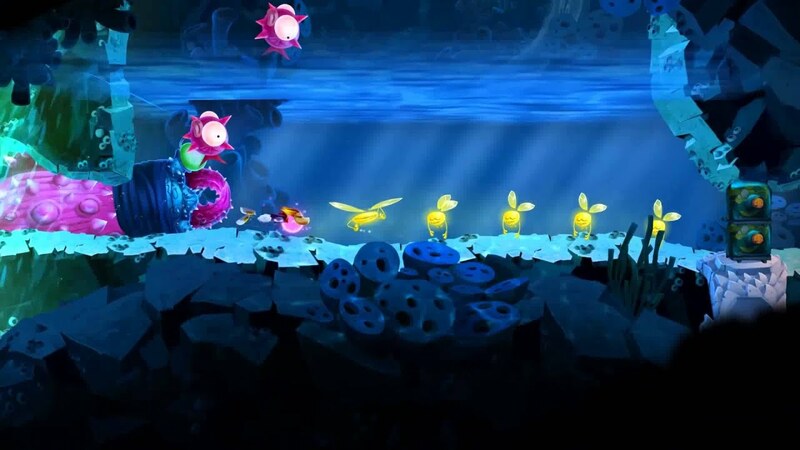 Some of this is focused on a single player experience, such as the tense and enjoyable “Gamer” and “Taxi” minigames, but “Fruit” and “Artwork” take the cake in my opinion as the best of all sixteen self-contained offerings if you happen to have friends around. While Artwork is basically just a cleverly optimised Wii U version of Pictionary, it is still endless fun to play through, and as for Fruit, well, that game is just a stroke of genius. Using just one gamepad, up to five people (or more, to be honest) can play a cleverly orchestrated game of deception that was the first local multiplayer experience to get my three siblings and myself together since Super Smash Bros Brawl. I’m a big fan of Sony’s system-wide Trophy system, which works like Xbox’s Achievements with a couple of crucial differences: the ability to earn them on the go (via PS Vita) and an inherent tier system which makes earning a Platinum Trophy (the eqivalent of reaching 1000/1000 Gamerscore on one game on Xbox) a cathartic and wonderfully satisfying experience worth hunting down. It usually means you’ve done pretty much everything there is to do in a game and so hearing that distinctive “ding” and watching the popping animation that accompanies it, whether black on PS3 or white on Vita, is always lovely. So getting four of them in 2013 was quite nice for me personally. I “Platinumed” Virtue’s Last Reward, Gravity Rush, Tearaway and then The Walking Dead Season 1 this year, which technically makes this four moments rolled into one entry, but I associate them so closely that they basically count as one. For the second successive year I feel compelled to include an entry from the EB Games Expo, which was held this year in early October. 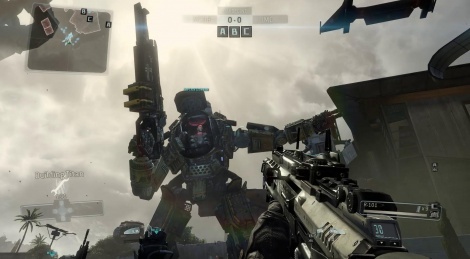 Titanfall may be a game that is only due out next year (March 13th to be precise) but EA and Respawn Entertainment made such an effort to construct a demo worth getting excited about worldwide this year that it felt very much like a 2013 event. After winning more major E3 awards than any other game in history, the ambitious Xbox One first person mech shooter refined its presentation and put together an experience that was not compromised for Australia. After lining up for the better part of an hour, I was led into a room where an attendant showed my group of a dozen or so a meaty tutorial video on how to get the most out of playing Titanfall, before we were sent upstairs to the heart-pounding game snippet itself. 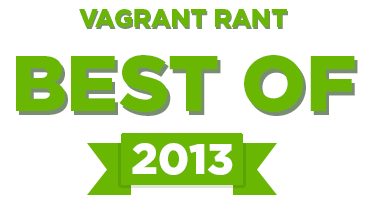 It was a great example of hype management and one of my absolute gaming highlights of 2013. A new Pokemon game is always a cause for celebration, but a new generation on a new console is an even bigger deal. Yet despite how amazing the opening few hours of Pokemon X (and Y) are executed and paced, the experience would not have been nearly as memorable had I not experienced it with eight close friends in one room. We all met up at one of their abodes and played from as early as we could in the morning to as late as we could manage in the afternoon before our various life appointments took over. All up we played for around six wonderful hours, including a couple of team battles after the first gym battle. As Australians, we were among the first in the world to play the game, so many of the new features and Pokemon we discovered gleefully at around the same time. I couldn’t imagine a better way to usher in Generation 6 of my all-time favourite videogame series. Much discussed, much argued over and much appreciated, the ending of Irrational Games’ Bioshock Infinite is a masterclass in how to pull off a twist ending in an interactive medium. Of course, the company already did so to celebrated effect in the original Bioshock, making the achievement of Infinite all the more impressive. Quantum physics and metaphysics are heavily involved, and it isn’t completely watertight, but it is largely unexpected and delivers an emotional gut punch as strong as anything I’ve experienced in my time playing videogames and watching movies. There’s always a girl, there’s always a lighthouse, and there’s always a mind****. For my in-depth thoughts on the ending, written soon after finishing the game, check out the last section of my Infinite Musings post. Probably my coolest early moment with the Xbox One, and the first time that “wow, this is next-gen” feeling hit me, came the day after I installed all the necessary day one downloads. Without having tested the Kinect’s voice recognition at all beforehand, and with my sister’s FIFA-mad boyfriend on the couch near me, I turned on my console and without thinking said “Xbox, go to FIFA 14.” It worked instantly, my companion was suitably amazed and I felt amazing, especially after I went on to beat him 1-0 in a tense Merseyside Derby with my beloved Everton. A similar moment came during my brief few hours with Forza 5, in one of the very rare moments my dad was in around and mildly interested in what I was playing. During the five-course intro run a drive round Australia’s iconic Mt Panorama circuit came up, and he was instantly invested. Having driven the circuit himself once, he called all the turns and track features just before they came up, allowing me to do better than I had been at that point, and he even had a go himself soon afterward. The experience was weird, but awesome. Mention the phrase “falling down the elevator shaft” to anyone who has played The Last of Us and you will probably get a mortified reaction, because his or her mind will likely drift immediately to the moment when you have to turn on that power generator in the dark and… Actually, I don’t want to talk about it. As much as I enjoyed Tomb Raider‘s set pieces and amazing sense of exploration, for the majority of the game I was wondering when developer Crystal Dynamics would throw in a nod to the Lara Croft of old. I got that in a fleeting and very cool moment at the end of the last section of combat in the game, which you can read about in more detail in the Top Five Tomb Raider Moments article I wrote back in March.